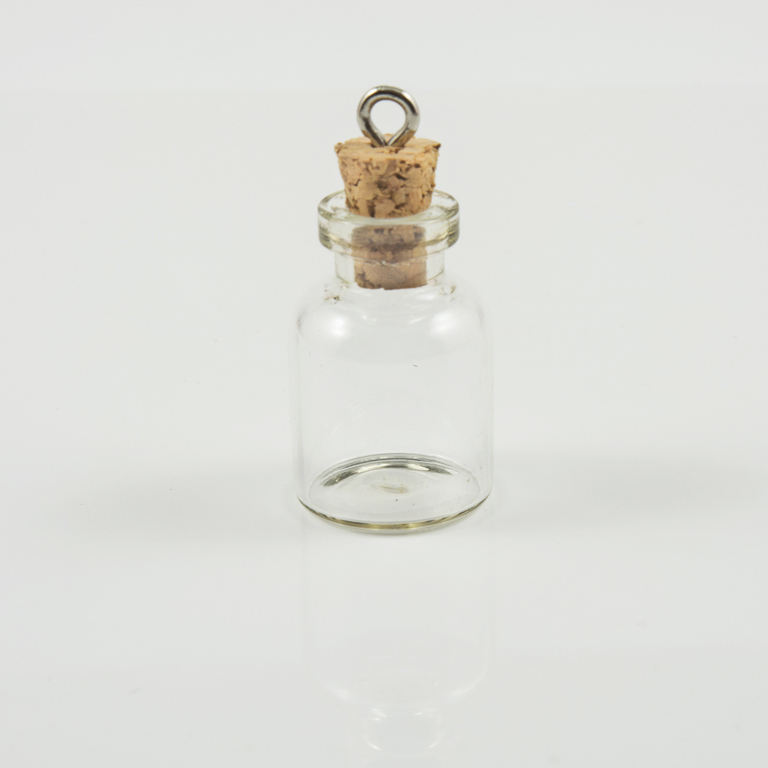 Glass decorative bottle with cork. It can be used on a necklace. Ideal decoration for charms too. Dimensions 3.4x1.6cm.